The city council, during their regular session on Monday (May 21), moved for S/Supt. Nicholas Torre III, who assumed his post as Samar provincial director May of last year, be declared as persona non grata for his alleged failure to solve the series of killings in the city and his reported political partisanship. The said measure, contained under Resolution 2018-15-141, was initiated by Councilor Rey James Uy and was supported by five other councilors. However, three councilors did not support the move while another councilor was absent during the meeting. “Whereas, S/Supt. Nicholas Torre III allegedly engaged in a political partisan activity when he provides services only to well-known political personality in the province of Samar,” part of the resolution said. “His police service… is tainted with doubt against crimes and (in) maintain(ing) peace and order,” the resolution added. Thus, Torre should be declared as a persona non grata within Calbayog City, the resolution said. A persona non grata means that a person or personality is not welcome or not acknowledge in a place where the declaration was made. The resolution further stated that the police need to be effective and credible as partner of the community for the betterment of the populace and the businesses. 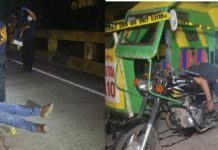 The resolution cited the killing incidents in Barangay Catabunan wherein a candidate for punong barangay and his father were killed; in Brgy. San Jose wherein a farmer was beheaded, among others. But Torre, in his Facebook post, dismissed the declaration of the city council of Calbayog saying that he has done enough to solve the killing incidents in the said city. According to him, since he assumed the post May of last year, only few killing incidents occurred compared to previous years. 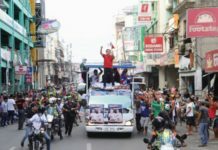 He also said that he got a certification from the Commission on Elections (Comelec) city office stating that, for one, the incident in Catabunan was not politically-related relative to the conduct of the May 14 barangay and Sangguniang Kabataan elections. “Don’t they like a peaceful Calbayog?” he said. But Torre said he was relieved that the league of mayors of the province expressed their confidence on his leadership as they passed a resolution expressing their support on him. “Whereas, the local chief executives of Samar has admired the vigor, honesty and sincere desire of PS/Supt. Nicholas Torre III to make Samar Police Provincial Office more active and visible in promoting public safety and security within the localities,” part of the resolution issued by the mayors on May 10 said.